The office and staff of Dr. Jeffrey Platt have been providing quality family dental services for over 25 years. We pride ourselves in making your visit with us both pleasant and pain-free. A full range of professional dental services are available which include cosmetic restorations, cleanings and periodontal(gum) treatments, whitening of teeth, root canal treatment, porcelain crowns, replacement teeth, dental implants, dentures, and extractions. Emergencies are seen immediately. The use of nitrous oxide assists many of our patients to be comfortable in a dental office. All services are delivered and meet the sterilization requirements of the Department of Occupational Safety and Health Administration. Dr. Platt is a University of Maryland School of Dentistry Graduate. He completed a Family Practice Residency Program at Beth Israel Medical Center in New York City. 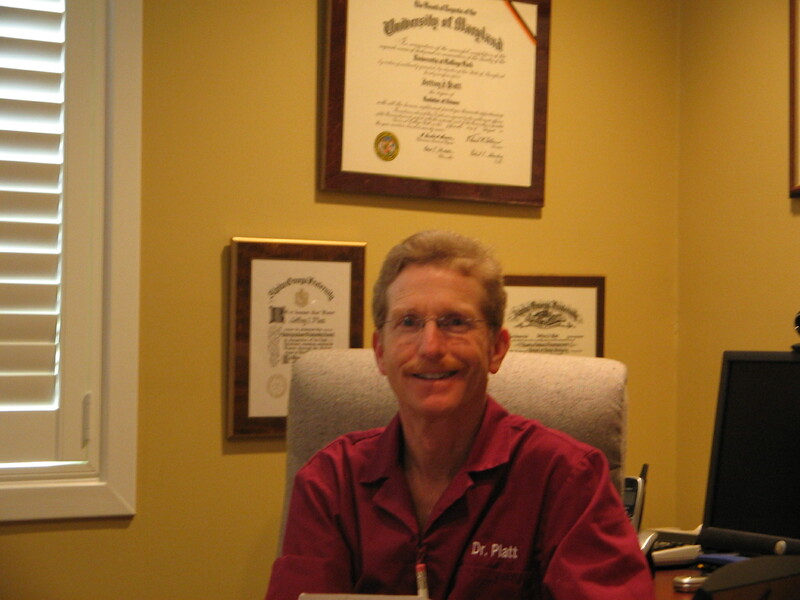 For the past 27 years Dr. Platt has been in private practice in Baltimore, Maryland. His staff includes certified Dental Assistants and several professional Dental Hygienists. The team has enjoyed practicing together for many years and prides itself in its commitment to our patients and to the community in which we live.